After yesterdays look at the best deals on Switch games and consoles I thought doing the same for the 3DS was a good idea. 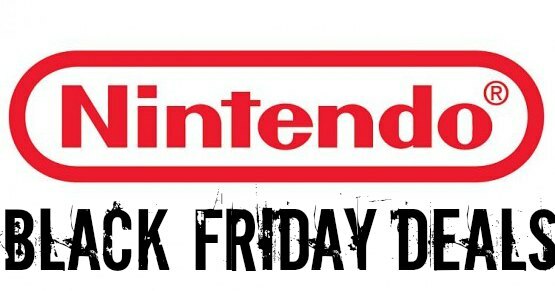 Thankfully I didn’t have to work as hard for this one, seen as I already had all the sources in front of me, and I have found all kinds of deals to suit all kinds of consumers this Black Friday 2017. The 3DS is a little more complicated than the Switch, for one it’s been out longer, and Nintendo have this thing where they release the same hardware multiple times in different forms. Making the matter even more confusing is the fact that some 3DS games only work on the more recent hardware revision. I’ll be sure to point those out as we come to them. I bought my vanilla 3DS day of release, and it has seen some use since then. The console has one of the largest libraries in the market right now, and the combination of form factor and price point make it an excellent gift. So let’s dive right in, see if there are any deals that pique your interest. New Pokemon games are out, and they are likely to be a hot item this Christmas, so getting them at as low a price as possible is probably a good idea. Not likely that they will sell out though, and I fully expect the 2nd hand game stores to have plenty of copies going forward as well. Still, why buy second hand when you can get it brand new for the same price? Fry’s Electronics seem to have the widest selection at the best prices right now, but there are a variety of deals available. Really depends on what you have on hand. Fry’s might have the widest range of titles available at a discount, but you need a code to get them. They are giving it away on Thursday the 24th, so be sure to stop by and get yours. The deal is buy 2 get 1 free, and considering the average price of a 3DS game is $25 you are going to be walking away with a nice handful or great games. Let’s take a look at them. 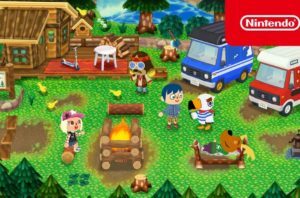 Animal Crossing: New Leaf – Welcome Amiibo: I played so much Animal Crossing on the original DS. A game that was ported from N64 to Gamecube and beyond. Never before has chilling out and paying a mortgage been so fun. The Welcome Amiibo is just a card with the chip in it, so less cool than a real one. Donkey Kong Country Returns 3D: A re-release of the the original. I’m of the opinion that these games just haven’t aged well. Impressive at the time, but even then there were better platform games available. If the price is $19.99, or your rose tinted glasses are red-shifting, then by all means buy away. Dragon Quest VII: Fragments of the Forgotten Past: Another remake, this time of a classic RPG from the original Playstation. The game is great, and it fixes a number of the issues I have with classic JRPG design. There are no random battles anymore, which is a godsend. Minor issue here in that the full orchestra score has been replaced with a MIDI version for the international release, bit of a let down, but an excellent game that will keep you entertained for days. Ever Oasis: Hadn’t heard of this one, but it looks good. Reminds me of an Egyptian themed Rune Factory, with the farming replaced with town management. Combat looks tight, and the reviews are very positive. If you want a cutesy action RPG with a nice twist on the formula then this is well worth checking out. 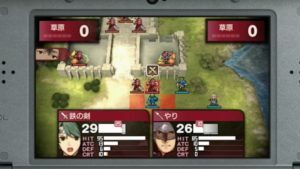 Fire Emblem Echoes: Shadows of Valentia: Fire Emblem games are brutal, tactical and emotive. 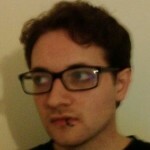 Turn based strategy with perma death and depth. This is a remake of the second game in the franchise, Fire Emblem Gaiden, released back in 1992, and the gameplay choices made then were a little ahead of its time. The plot is fantastic, if predicable, and the presentation is lovely, and the gameplay has been refined from the original. There is a little more freedom of choice in the game, which is a welcome addition, but the difficulty is a little lower than I would like. Fire Emblem Warriors: Our first exclusive New 3DS title, and it really needed the extra power. A full on Dynasty Warriors game, with a fresh-ish coat of fire emblem paint. If you like the series then you will love the on the go version, but if you don’t fancy tapping the A button ad infinitum for hours on end then you are better served elsewhere. Hey! PIKMIN: Oh man, I love the Pikmin games. Developers have tried for years to get real time strategy games working with a controller, and it took the kings of design, Nintendo, to finally get it right. Which is why I am so sore about them getting this one so wrong. It’s far from a bad game, it’s just not really a Pikmin game. Feels like it’s been made from cast off Mario game ideas. There are better options. Layton’s Mystery Journey: Katrielle and the Millionaires’ Conspiracy: More Professor Layton. Didn’t expect to like this series as much as I do. It’s like a point and click adventure game, but with all the rub object on object puzzles replaced with little mini games. The titular Professor Layton is missing in this one, and it’s up to his daughter to find him. Should keep you gripped for a while, trying to find and solve them all. Mario & Luigi Superstar Saga + Bowser’s Minions: Yet another remake, this time of the GBA Mario RPG. This version comes with better lighting and post processing effects, and a bonus chapter, detailing the Intrepid Captain Goomba’s search for Bowser. The games are a spiritual successor to Super Mario RPG, and the gameplay is very similar. The writing is on point, downright hilarious at times, and while the gameplay is simple enough for kids, the aforementioned writing makes this one a joy for long time Mario fans. Mario Kart 7: Best Mario Kart in the series so far. We’ve all played them by now, a lot of fun in single player, and an absolute riot in multiplayer. A must Own on the system. Mario Party: The Top 100: Never got the appeal of the Mario Party games, I mean, Nintendo already make Smash Bros, Mario Kart and Warioware, but the series sells well, and this version has to be the best one, taking the top 100 mini games from the series and letting you play on the go. Only one copy of the game needed for the party too. Mario Sports Superstars: A Mario Sports game, a little cynical this one, collectable cards and all. The Mini games are alright, but none of them come close to Mario Golf, or Hoops 3 On 3. 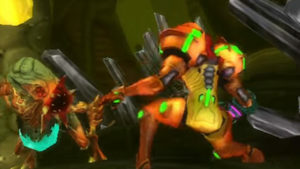 Metroid: Samus Returns: Not the only Metroid 2 remake out there, the excellent Not Another Metroid Remake was completed before the DMCA, but this is certainly the prettier one. Misses the point of the original in places, but this is a fine experience start to finish. Well worth picking up for fans, and it’s nice to see Nintendo give the series some love. Miitopia: Simple RPG, good for kids and those who like self inserts. It uses your Mii characters as player characters, which I guess means you can have it star whomever you want. Minecraft: New Nintendo 3DS Edition: The fact that Minecraft has been shrunk down and put on the New 3DS is incredible to me. i know the game isn’t exactly demanding on the hardware in its base state, but it’s still a feat that they managed to get the experience on the go. A great version of the game, and well worth picking up if you are a fan, or your kid is. Monster Hunter Stories: Apparently a good game. Ties into an Anime though, and it is quite far removed from the core Monster Hunter experience. Might be worth it for the fans, or those who want to delve a little deeper into the Monster Hunter world. New Super Mario Bros. 2: It’s a side scrolling Mario game. And a good one. Might not be their best, but it is a solid experience, and is sure to bring back a little of those childhood memories. Pokémon Moon: The Pokemon games are always worth a go. New Monsters, new mechanics and a very polished engine, the SuMo games are very nearly the finest in the series. The plot is actually engaging this time around too, though it pales in comparison to the Black and White games, it is certainly leaps ahead of X/Y. Pokémon Sun: As above, so below and all that. Pokémon Ultra Moon: Don’t know how I feel about this one. The UI has seen some nice changes, and the graphics have been polished up a little more, but it’s not very noticeable. There are only 2 new Pokemon in the game, which is a travesty, and overall I feel like this did not warrant a purchase. The intro is a lot shorter now, and the totem stickers are a nice touch, but there are not enough improvements. In saying that, if you didn’t buy SuMo then getting one of the Ultras is still the best idea. Pokémon Ultra Sun: Again, as above etc etc. Super Mario Maker 3DS: It’s the Wii U game on the go. Nintendo have made some excellent tools here, allowing you to craft authentic Mario experience yourself. of course, most folk are using to make glorified roller coaster rides, and intentional unfair levels, but there are thousands out there, and quite a few of them are not only clever, but extremely innovative. Well worth picking up. Super Smash Bros. 3DS: It might not be my favorite Smash Bros game, but that’s just because I prefer the Wii U version. Literally hundreds of hours of content in single player, unprecedented in the genre, and twice that with friends. The Legend of Zelda: Majora’s Mask 3D: By far the best Zelda game in terms of narrative and overall theming, it gets a little too dark for kids though. This upgraded is long overdue, and the core gameplay is still top notch. Ocarina may be more iconic, but Majora’s Mask knocked the formula out of the park. The Legend of Zelda: Ocarina of Time 3D: Not much to say about this one. Ocarina of Time is considered by some to be the best game ever made, and it is hard to argue with it. At the time is was the most impressive thing on the market, and the game has aged wonderfully. A fresh coat of paint is all it needed. Tomodachi Life: It’s like Animal crossing with more Miis and a very integrated online component. Not really for me, but it should keep the kids busy for the rest of their lives. Yo-Kai Watch 2: Psychic Specters: So far as I can find out this is a bit like Pokemon with cute demons instead of cute monsters that sometimes look like demons. Hugely popular in Japan, the press over there loved it, but in the West it was less well received. This is the most recent game i the series and it has the best reviews so far, sitting at 75 on Metacritic. Animal Crossing: New Leaf – Welcome Amiibo $14.99: Same opinion as above, this is a solid price for the game too. Fire Emblem Echoes: Shadows of Valentia $29.99: Great game, decent price. You might be better off with Fry’s if you are looking for a handful of games, but if you are just after this one then BestBuy is your man. Luigi’s Mansion: Dark Moon $14.99: Such a good price. I get that the game is getting on in years, but it is fantastic. The original was a little tighter in terms of design, but this is a very fine entry into the series. Mario Kart 7 $19.99: Great price for a great game. Same opinion as Fire Emblem there. New Super Mario Bros. 2 $19.99: Same opinion here too. BestBuy is better for single games, while Fry’s is more for those who want options. Pokémon Alpha Sapphire $19.99: The originals were some fo the finiest in the series and the additions in this and OR make it well worth returning to the setting. Pokémon Omega Ruby $19.99: See above. Pokémon X $19.99: My favorite Pokemon games. They just hit the nail on the head with these ones. Great new Pokemon, probably the best starter set there has ever been, and an amazing setting. Going to Pokemon’s equivalent of France was a joy, and it was so nice to be able to finally customize your character. Worth it for Super Training alone, which removes the hours of grinding it took to get a decent team. That price is perfect too. Pokémon Y $19.99: Same as Pokemon X. There are a number of other deals on right now, and on the date as well, from other stores, but these are the only specific games I could find. Meijer has a weird selection of deals that may or may not apply to their 3DS range, with prices ranging from $19.99 to $34.99. Gamestop has the Pokemon games X, Y, OR, AS for $20 each, or three for $40 and a blanket buy 2 get 1 free across their range of second hand titles. Shopko has Pokemon Sun and Moon down to $9.99 each. Fred Meyer is doing 20% off across the board, as well as a select few titles with a flat $25 off, but none of those are known right now. Target has a range selling for $24.99 each, while Walmart doing a number of games for $19.99. Finally Toys R Us have discounts between $10 and $30 applying across their range. i wish I could be more specific here, but the info simply isn’t there, you will have to check in store on the day. The 3DS comes in a wide variety of flavors. There is the original console, which is actually getting harder to find these days, the 3DS XL, the New 3DS, the New 3DS XL, the 2DS and the New 2DS XL. The XL models are all larger, made for those with bigger hands, like adults, or those who just want a little bit more screen real estate. The “New” models have additional RAM and slightly higher clock speeds, meaning that most games will run a little smoother, and a few games are exclusive to these consoles. Nintendo 2DS The Legend of Zelda: Ocarina of Time 3D bundle $79: You can find this pretty much everywhere, released and ready for Black Friday 2017. It’s the vanilla 2DS, so a half dozen games are incompatible with it, but it will play 99% of the 3DS library. Good value and a fine choice for a stocking filler. Nintendo 2DS New Super Mario Bros. 2 bundle + choice of free game $79.99 Shopko: Great value for money here. New Super Mario Bros 2 is a great title, and the list of bonus games is actually pretty fantastic. Hey! Pikmin, The Legend of Zelda: Ocarina of Time 3D, Metroid: Samus Returns and Luigi’s Mansion: Dark Moon. I’d go with either Luigi’s Mansion or Metroid. New Nintendo 3DS XL $139.99 Pre Owned Gamestop: It may be second hand, but it is a damn good price. This is the cream of the crop version of the 3DS. best graphics, best compatibility and the crispest screen. If you don’t mind a scratch or two this is the one for you. They are also selling the original 3DS for $99.99. 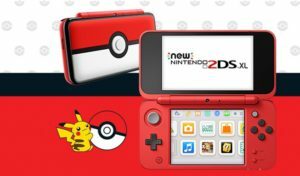 New Nintendo 2DS XL Pokéball Edition $139.99 Fry’s Electronics: If you don’t care about the 3D feature of the console then this is the best choice. The price is low, the quality is high and the Pokéball edition is probably my favorite of the entire 3DS family. Near twice as expensive as the new 2DS Zelda edition, and this one does not come with a game, so bear that mind. New Nintendo 3DS XL $174 AAFES: Good value for money, and brand spanking new. As mentioned, the highest end 3DS on the market, and while going second hand might save you $50 you do not get the excellent Nintendo after sale support with that model, so if it breaks you are well outta luck. not much int he way of peripherals for the 3DS, the only one that I can think of is the old circle pad pro, and most version of the 3DS come with a second stick these days anyway. Fred Meyer is claiming 20% off on accessories, but so far as I can see they have only the most basics accessories you can think of, cases and styluses etc. Might be worth a look though. So moving on to the SD cards. Same as the Switch article this one. Samsung have the best SD cards, and some fine customer support as well, but this time we are limited by the 3DS hardware. The Switch is able to support some very high end cards, but the 3DS supports a maximum of 64GB. Bear that in mind when you are out shopping, don’t want to be left with a pointless purchase. Below are the best prices I could find from a variety of retailers. There are also SD cards available in Walmart, Office Max and Staples, and I am sure their prices are going to be very competitive this year, be sure to check them out in store. Of course Amazon.com is always an option too. There they all are. My choice for top buy this season would have to be the 2DS Zelda Edition at $79.99 in a variety of locations, though the 2DS XL Pokeball Edition is damn nice too, even if it does come with a $50 additional cost. The design is nice, and if you are just joining us in the DS space it’s a lovely entry level price. the 3D capabilities are really more of a gimmick than a desired feature, and most of the in house stuff from Nintendo doesn’t use it much anymore.